You can certainly load up on some scorching records digging around Sydney’s vinyl stores but the city’s record store scene is about much more than buying your share and hotfooting it. 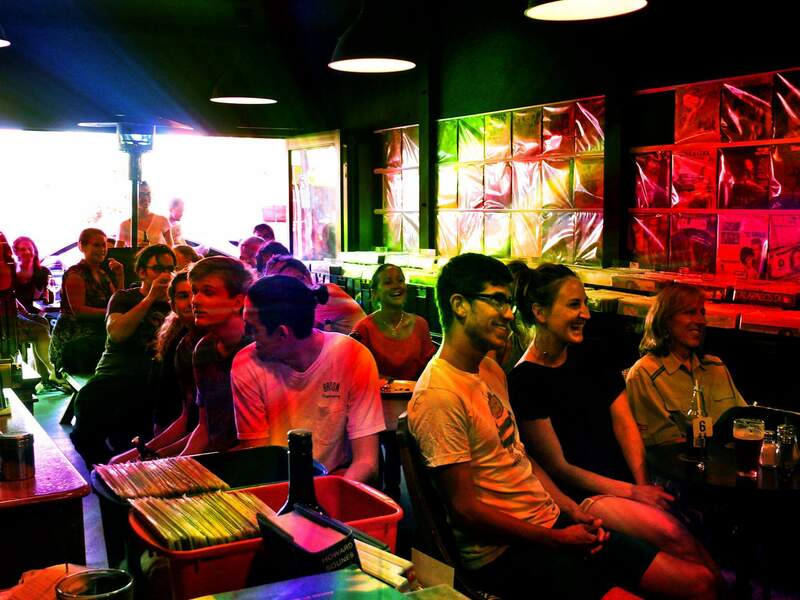 Record hunting in Sydney is a way to hang out, enjoy curated tracks on the store speakers, enjoy a drink and even learn a few things about recording artists and record-making while you’re at it. 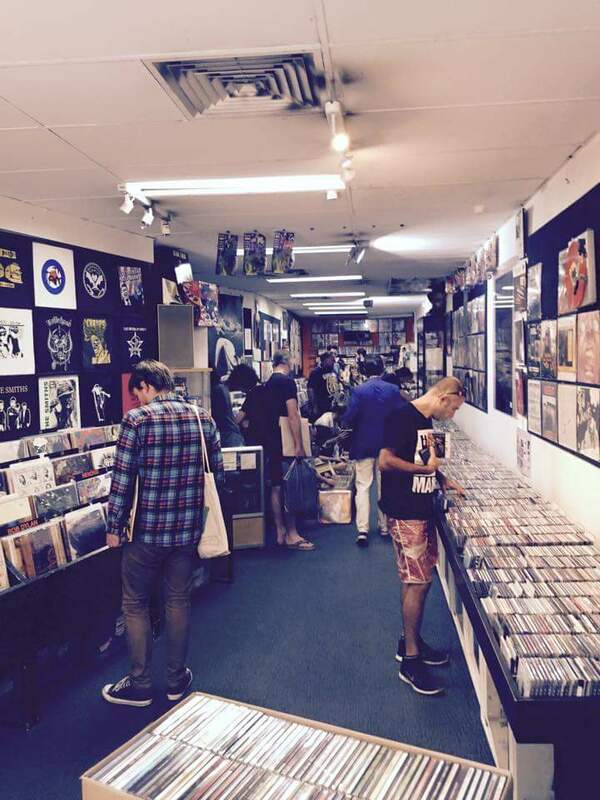 The recent vinyl resurgence is not news but by leafing around for your new favourite punk, rock, country, pop or dance records in Sydney’s best record shops, it’s clear why the resurgence is in good health. The Record Crate isn’t just a record store but it’s a great record store all the same. With a shop front that opens out to the lively foot traffic on Glebe Point Road, the Record Crate’s walls are adorned with vintage-flavoured vinyl and edged with a long line of crates that the store is always replenishing. The news only gets better though. While you look long at the crates of vinyl, you are more than welcome to enjoy a delightful selection of craft beers and very agreeable wines from the on-site bar – or have a spell at one of the tables in the centre of the room. And if you really want to make the most of your time here, you can also head upstairs for live music and test-drive a menu that includes burgers, fish tacos and salad sticks. This self-described “vinyl vendor” has a wisened atmosphere somewhat reminiscent of the antique book store in the NeverEnding Story. Trading in Sydney’s inner-West, the revered destination fattens its ears-deep stock of classic albums with regular overseas buying rounds and it perpetuates a spirit of vinyl evangelism by keeping sales exclusively to the music products it stocks in-store. The solid collection of original pressings, new releases and reissues dating back to the 1950s enhances Vintage Record’s museum-like atmosphere and the neat displays, signs and posters that illuminate everybody from Nick Cave to Miles Davis complement the vibe too. Egg Records set up shop in Newtown in 2000 and never left. Walk into the warm little wax shrine and you’ll find crates stacked with everything from obscure 60s psych rock to 70s power pop and pre-loved hip-hop. The store owners are popular for their knowledge, taste and customer service and they have a knack for supplying a steady stream of cult DVDs, rock bios, memorabilia and new and second-hand vinyl and CDs. In-store gigs happen from time to time but the experience here is really about digging into the vast vinyl wonderland. 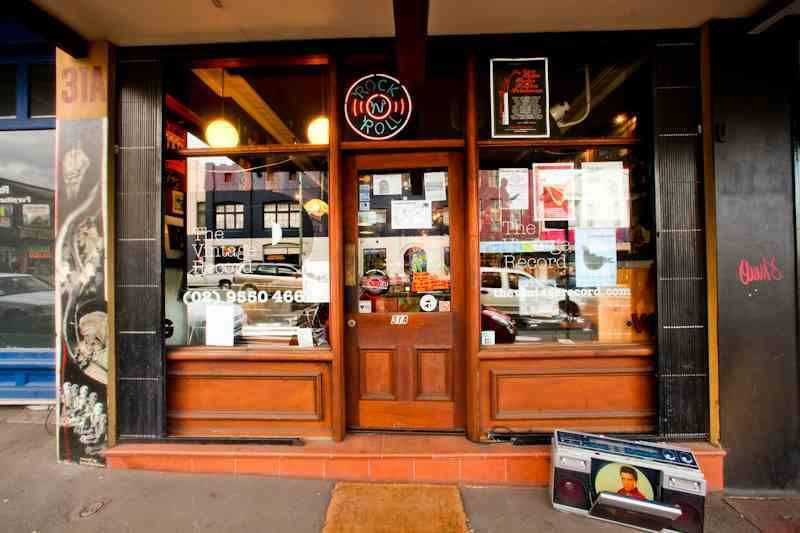 Newtown staple Repressed Records is packed with such a hearty mix of records and CDs, band merchandise, books and zines that you’ll probably have more trouble leaving than staying. Recognised as an independent retailer with a strong affection for independent Australian punk, alternative, garage and anything else with enough underdog character, Repressed began in Penrith 13 years ago but set up camp in Newtown in 2008 after the arrival of a new JB Hi-Fi nearby spooked the foundations. Co-owned by Sydney indie-rock musician Nic Warnock (Bed Wettin’ Bad Boys) and grass roots champion Chris Sammut, Repressed is a great place to visit for a palpable sense of what Sydney underground culture sounds and looks like. They’ll also be happy to tell you the story about the day Elton John arrived unannounced (in glasses and an Adidas tracksuit) to vacuum up a slew of 70s rock vinyl bargains.